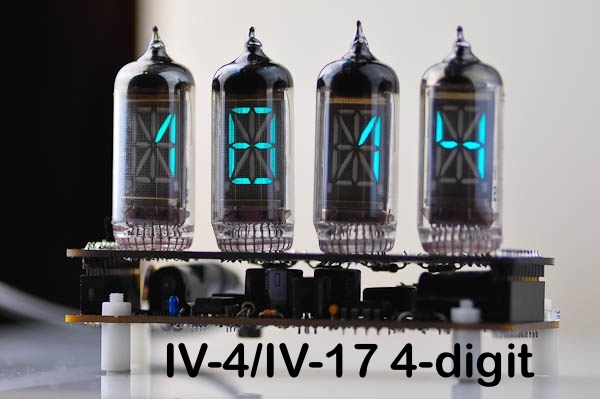 This option is for the base board with the IV-4 display shield. 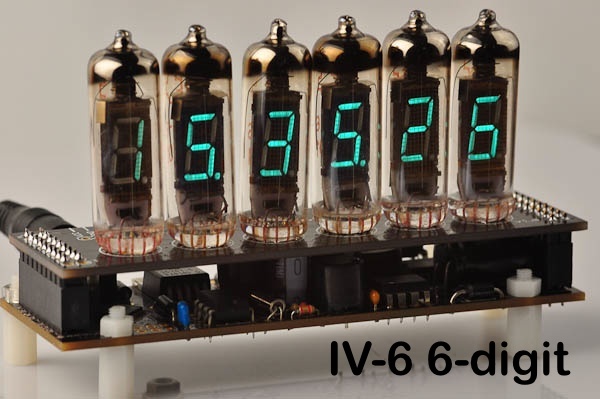 It contains 6 large alphanumeric 16-segment Russian VFD tubes. The display is blue/green. 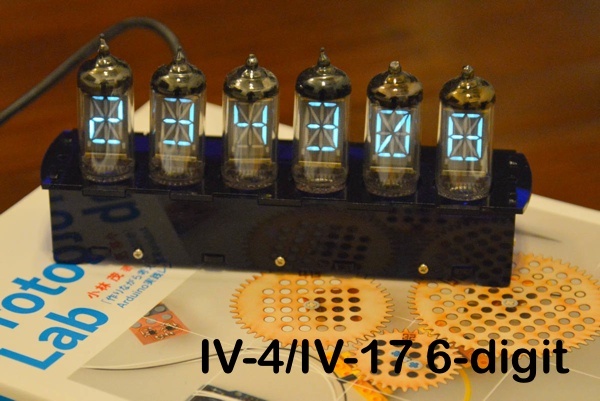 The firmware has shield detection built in, so it knows which Tube shield is plugged in, and adjusts the output accordingly. 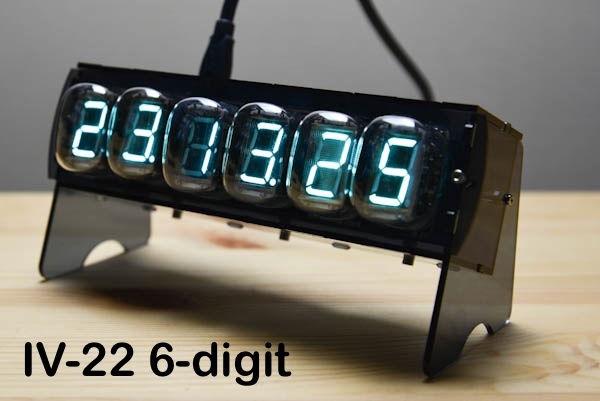 With the IV-4 - 6 digit alphanumeric display shield, you get six alphanumeric characters. 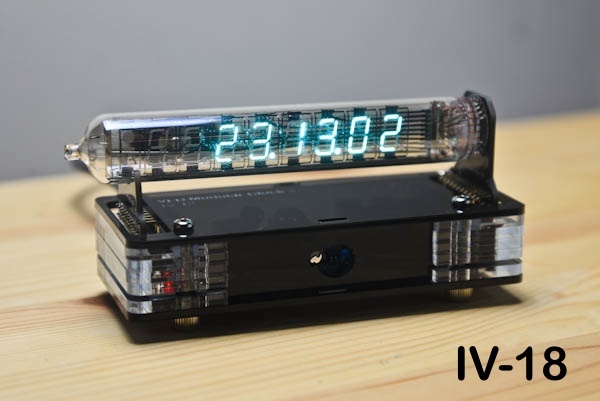 Simply enter your details below and we will send you an e-mail when “VFD Modular Clock mkII - IV-4 - 6 digit” is back in stock!